Be the first to hear about their new releases and deals. Download the Booksprout app and search for Kelly Utt today! Kelly Utt writes psychological thrillers for readers who enjoy both suspense and sentimentality. She was born in Youngstown, Ohio in 1976. Kelly grew up with a dad who would read a book on a weighty topic, ask her to read it, too, and then insist they discuss it together, igniting her passion for life's big questions. That passion is often reflected in Kelly's thrillers, giving them a depth which leaves readers wanting more and thinking about her stories long after the last lines are read. Kelly is author of the George Hartmann series, and she can't wait to share with you all of the adventures George and his family have in store. The stakes are high. And the suspense will keep you on the edge of your seat. Newsletter subscribers receive a free welcome gift- a prequel short story that's not available anywhere else. In this charming little story, you'll meet a young, twenty-something George Hartmann and you'll see how he nearly missed out on one of the very best things life had to offer. Are you ready to dive in? Sign up here: https://www.kellyutt.com/email-list-signup. If you haven't already read Book One in the George Hartmann Series, you'll want to learn more about Ithaca's Soldier. In this book, you'll get to know present-day George and will find out just how dedicated he is to keeping his family safe. The title is currently enjoying a 4.8 out of 5 star rating on both Amazon and Goodreads. Prior to writing fiction, Kelly told the stories of small businesses and their founders so the most positive and authentic parts could shine through. 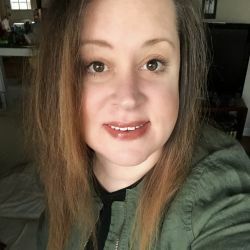 She holds a Bachelor's degree in Psychology from the University of Tennessee, Knoxville and she studied graduate level Interactive Media at Quinnipiac University. She lives in the Nashville suburb of Franklin, Tennessee with her husband and sons. Connect with Kelly at kellyutt.com, and on Instagram, Facebook, and Twitter at @authorkellyutt.